The Fall Haute Couture collection celebrates the maison’s heritage and chronicles, through an imaginary journey, the creative path of designer Elie Saab, from his debut in High Fashion up to now. Gold is the thread running through the whole collection. 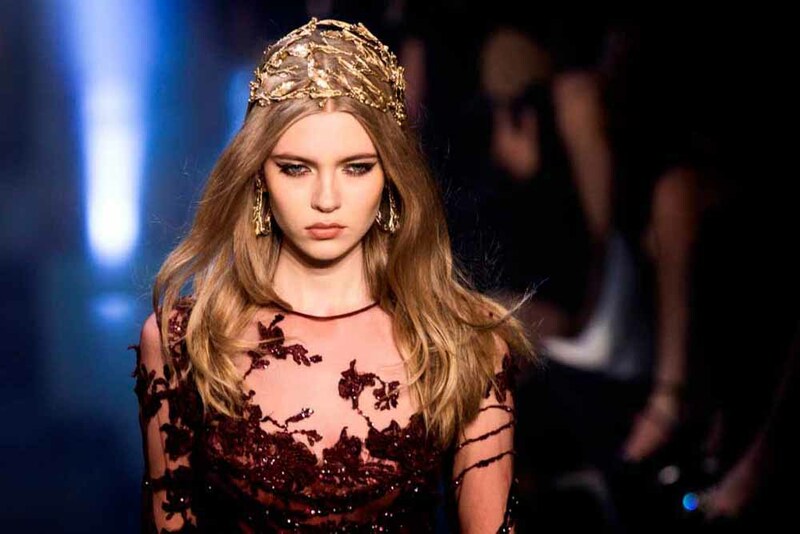 Drawing from mosaics and the ancient Byzantine palaces, the colour synonymous with luxury par excellence ornates fluid lace gowns, the jewellery embellishing the models’ hair and the boxy clutches with chain strap. The collection culminates with a total gold look in lace and crystal that, more than a gown, is a promise of undying love – the love that has been binding Mr Elie Saab and his wife Claudine for 25 years.